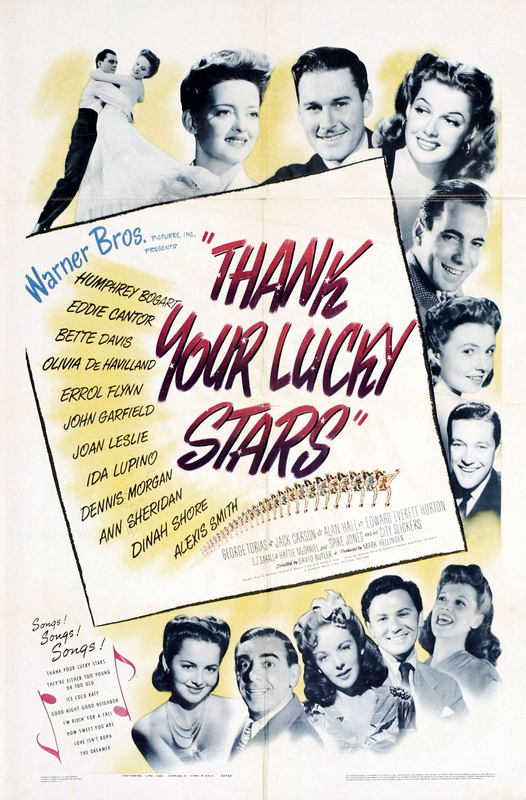 This entry was posted in Musical Monday and tagged Bette Davis, Bette DAvis sings, Errol Flynn, Errol Flynn sings, Hollywood Canteen, John Garfield, Olivia de Havilland, Thank Your Lucky Stars, Warner Brothers by Jnpickens. Bookmark the permalink. I’ve got this one sitting on top of my DVD player, ready to watch and write up! I’m excited to hear that you liked it so much! Can’t expect a solo by Bogart though, huh? Thanks for the write up! I can’t wait! Unfortunately, Bogart doesn’t sing but wouldn’t that be gold? It’s a lot of fun and I look forward to seeing what you think about it! Jessica, I’d heard of THANK YOUR LUCKY STARS, and I very much enjoyed your review! With that cast and those musical numbers, I’ll keep an eye open for it! All the musical numbers are great. Alexis Smith showed she was quite a dancer . Olivia De Haviiland and Ida Lupino were a riot. A fun movie. As noted above by Vienna, Alexis Smith proved to be a great dancer — unknown to the audience, perhaps, as she was seldom used in dance numbers and this was her only film musical — but she was a trained ballet dancer and performed in shows at the Hollywood Bowl from childhood. It wasn’t until her Tony-award winning performance on Broadway in “Follies” in 1971-72 that she was really able to utilize that training. 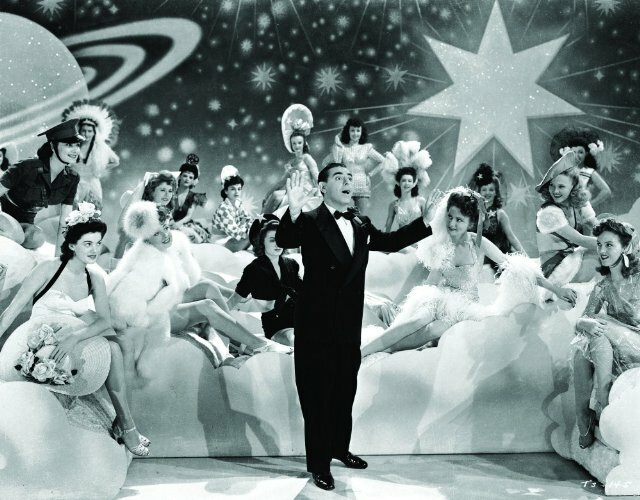 “Thank Your Lucky Stars” is an oddball sort of musical, but such a treasure to capture these performances. 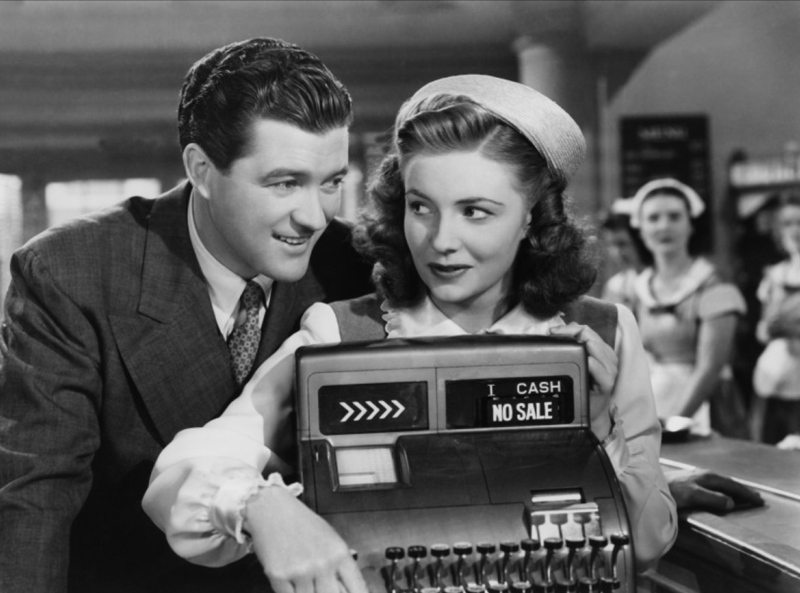 I think the movie could have used a little less Eddie Cantor, but Flynn, and De Havilland and Ida Lupino — a real treat to watch. And a blast to watch Hattie McDaniel belt out a song. Thanks for posting. This does look like a delight, as you said. Errol Flynn is hilarious! And I really enjoyed Ann Sheridan, too. I didn’t know she could sing. I am so amazed by Error Flynn’s performance. He could sing and could dance. Anyway, he is an underrated actor. Besides Robin Hood and Captain Blood, he covered many genres: light comedy, western and drama. But people only want to remember him as the dashing swashbuckler. Since he was a movie star, actually a superstar in his heyday, people forget that he could act too.